For something so essential, “strategy” is often misunderstood, misinterpreted, and misapplied, and given the complex challenges facing contemporary organizations—and entire societies—we must grow more and better strategists. Tackling three simple yet sweeping questions, Cultivating the Strategic Mind answers: (1) What is strategy, and why aren’t more leaders better strategists? (2) While strategy is foundational in exemplary organizations, why are so many others missing it altogether? (3) How can I apply strategy in palpable, pragmatic ways to the benefit of those around me? A breezy writing style, intuitive models, research-based solutions, and sticky storytelling make Cultivating the Strategic Mind an easy, stimulating, fun, and immensely credible approach toward developing strategists for our evolving world of work. 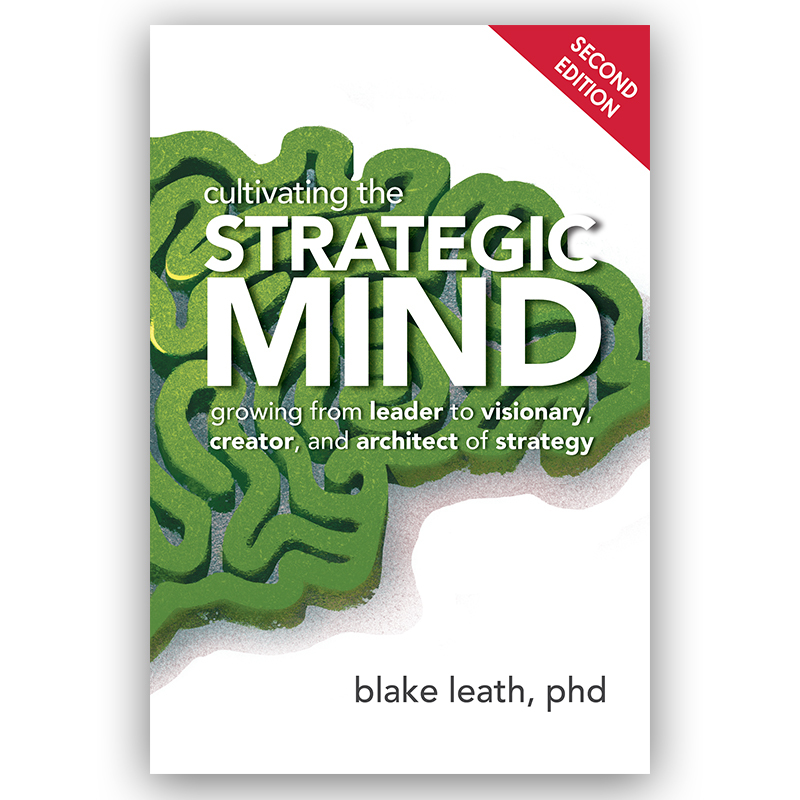 Now celebrating one decade in print, this gorgeous, buttery-soft paperback 10th Anniversary Commemorative 2nd Edition of Cultivating the Strategic Mind includes a new Introduction by the author, nearly 800 revisions, updates, and “where are they now?” factoids sprinkled throughout, and reflections from the field following ten years of interactions with Strategic Mind implementers and workshop participants from around the globe. Increasingly regarded as a classic in its domain, Cultivating the Strategic Mind is the must-have handbook for every professional strategist and leader journeying to become visionary, creator, and architect of strategy.